When it comes to communication and building relationships, most social scientists agree women possess innate skills. After all, society socialized females over millennia to act as nurturers and caregivers, regardless of professional roles. That is not to say men do not excel in these fields as well, but for women, it is almost second nature. It comes as no surprise, then, women not only add to the growth of public relations but also innovate the way we see PR. Here are four female-led firms accomplishing big things in public relations. Thomas Body Communications is a privately held PR firm in New Jersey. Liz Thomas and Pam Boyd created the agency in 1998 offering a new approach to traditional public relations. The company specializes in traditional offerings, such as media and public relations, events planning, and crisis management. It couples these offerings with social media and digital marketing, providing media training for client representatives. The firm’s clientele ranges from non-profit organizations to corporate giants. Impressively, the team consists of less than 25 employees working hard to please their clients. The firm grosses an estimated $1 million in annual revenue. Zoe Coady founded Brandstyle Communications in 2008, after leaving her position as the PR director of SHVO. The firm focuses primarily on the lifestyle industry and specializes in all areas of fashion and luxury. It also provides PR services in other industries, such as hospitality and technology. The company styles itself as “brands’ gatekeepers” and provides a variety of PR services to their clients. These include event planning, strategic partnerships, and sponsorships. 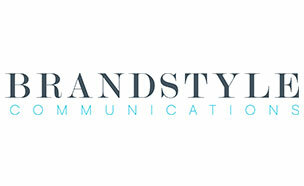 Brandstyle Communications remains a privately held agency with offices in New York and Miami. Less than 20 employees man the firm, and it grosses an estimated revenue of under $1million. Jennifer Hawkins founded Hawkins International in 2002. Hawkins focuses exclusively on lifestyle and luxury brands. Hawkins took this direction because of her love and passion for traveling. The New York-based boutique agency caters to international companies and knows how to get their clients big features in the media. 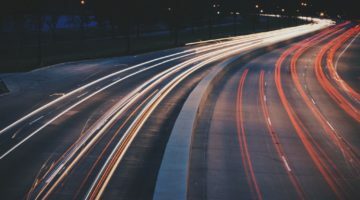 The company also connects clients with key influencers, builds media strategies, and crafts social media campaigns. Inc. Magazine awarded the company a spot on the Inc. 5000 list for two years in a row. In 2014, Hawkins’ 43% revenue growth over a three-year span won them the spot. The company grossed $3.5 million in revenue. For this, Inc. 5000 named them one of the nation’s fastest-growing privately held companies. By 2015, Hawkins’ growth increased to 52% over the new three year look back period. The firm’s clients include Tryall Club, Trump International, and Tradewind Aviation. Bianca Caampued and Mallory Blair are small girls building a big dream of making PR more personable. Together, the two young entrepreneurs founded Small Girls PR in 2010. The firm caters to feminist movements celebrating womanhood while maintaining an attractive front to other corporations. Small Girls displays its skills by taking on a range of projects including creating an anti-SOPA campaign on behalf of Google and then promoting prom dresses for a smaller fashion business. One unique feature of this firm is how personal Small Girls makes its campaigns. For instance, to promote a dating site, one founder went on a blind date and live streamed the footage, while the other provided commentary all the way through. Clients admit their style differs from the norm, but insist it works. The firm employs ten people and grosses over $1 million in annual revenue. Practical suggestions , I loved the information . Does anyone know where my business might locate a blank IL DSD X 174.1 form to fill out ?